great deal that Dell is offering at www.dell.com/shockwave. exciting offer is perfect for kids, teenagers and for moms and dads too! 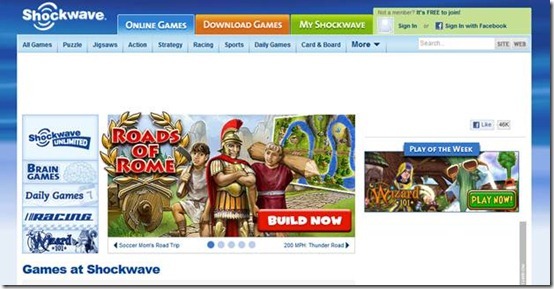 Shockwave UNLIMITED offers unlimited play of over 1,800 games with no ad interruptions or time limits. This exciting offer is perfect for kids, teenagers and maybe even Moms and Dads too. Find a game that you love. Download it to your new Dell Inspiron laptop or desktop. Dell’s promotional lineup of the New Inspiron R Laptops with 2nd Gen Intel Core Processors and the Inspiron One 2305 all-in-one desktop truly make this deal unbeatable. The new Inspiron R laptops with 2nd Gen Intel Core processors (14R, 15R and 17R) and optional switchable lid designs offer the look you want and the performance you need. The Inspiron One 2305 all-in-one desktop with an optional multi-touch screen and a sleek design are a perfect way to experience videos, photos, and games!